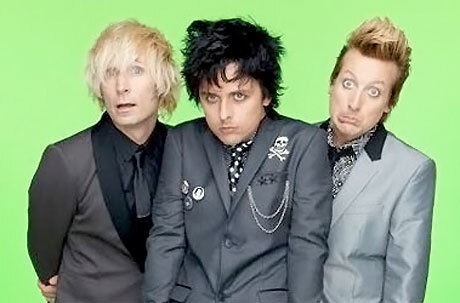 Long-running pop-punk trio Green Day ambitiously began rolling out a trio of albums titled iUno!, iDos! and Tre! this year, but the band have now confirmed a fourth part is on the way. Rather than add another album to their hefty load, though, iCuatro! is their previously announced behind-the-scenes documentary behind the album cycle. The doc is expected to be rolled out sometime next year, but highlights of what's been caught on camera for the promotional push behind the albums will be shown on VH1 November 28. The film is said to feature a candid look at studio sessions and live shows. "¡Cuatro! brings our fans one step closer by giving them even more access and revealing what it was like for us to make these records," bassist Mike Dirnt said in a statement. Frontman Billie Joe Armstrong had previously revealed, "It's not going to be the sitting down, head shot of me going 'we started out blah blah blah. We wanted to get into lifestyles of rock'n'roll and playing rock'n'roll and letting the story kind of tell itself rather than create revisionist [history]." As previously reported, the film is being directed by Tim Wheeler and produced by Tim Lynch for Farm League. On top of showcasing the trio's trilogy, it will be interesting to see how the film deals with singer/guitarist Armstrong's recent onstage meltdown, which led to the band postponing a tour and Armstrong entering himself into a substance abuse program. As previously reported, iTre! will hit stores December 11 through Reprise.